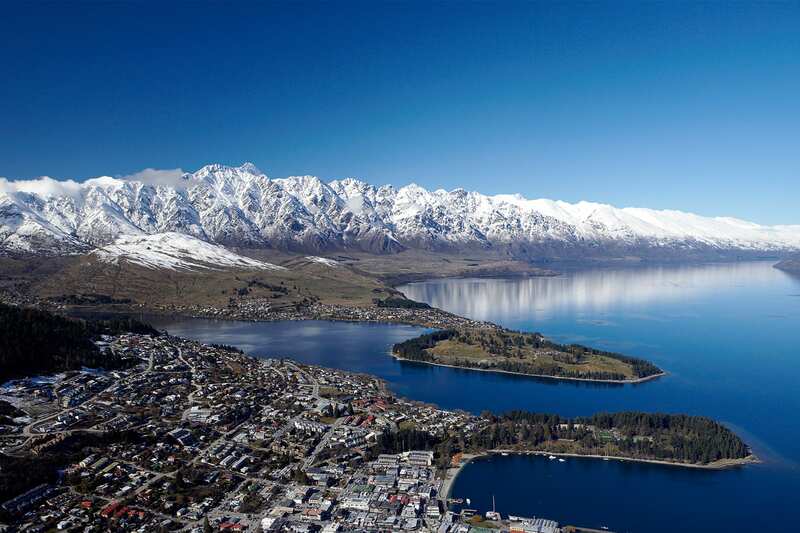 Be awed by stunning mountains, fantastic views, and the amazing Queenstown on this South Island trip where you'll experience unbeatable scenery coupled with a massive range of optional activities. 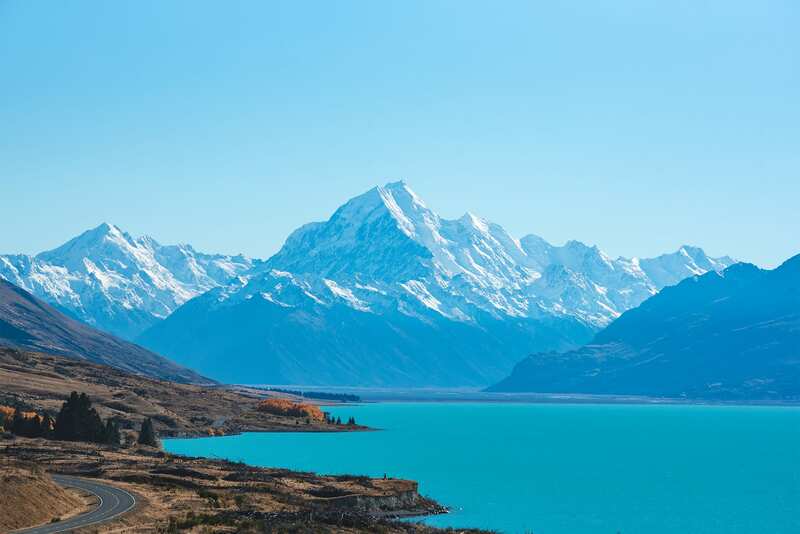 Take in Lake Tekapo, Queenstown, Wanaka, Franz Josef and finish with the TranzAlpine –- rated as one of the world's Top Ten rail journeys. Please note: Private accommodation upgrades are not available for this night of the tour due to the limited availability of accommodation in the area. In special circumstances other arrangements may be possible. Well worth the cost, this is a flight of a lifetime over two World Heritage National Parks and 200km of New Zealand’s most memorable and spectacular scenery. 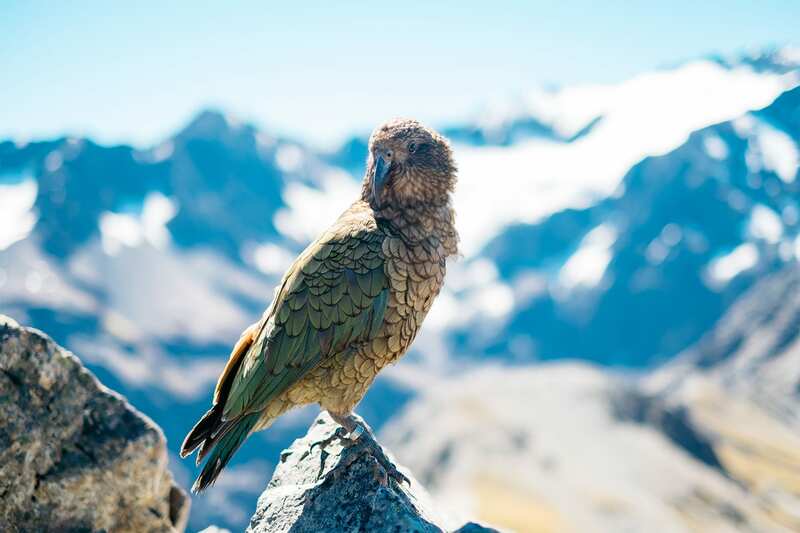 The 50 minute flight passes over Mt Cook (Aoraki) and Westland National Parks, 12 major glaciers, the highest peaks in Oceania and the sub tropical rain forests of the South Island's West Coast. With a full day in Queenstown, let’s work on that bucket list! 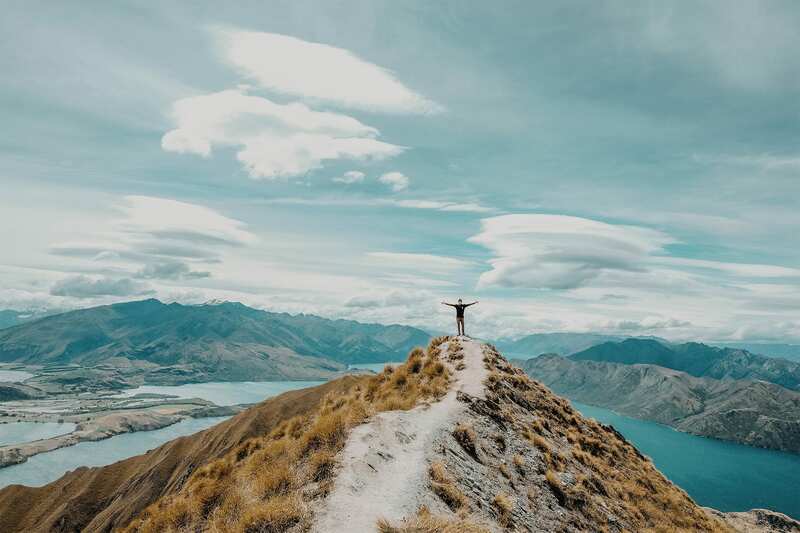 There are heaps of options to choose from: paragliding over the lake, mountain bike parks and trails to die for, bungy jumping while your friends cheer you on, horse riding through Lord of the Rings scenery, and swinging through a canyon are just a few of our favorites. Hikers: the Ben Lomond day walk (not for the faint-hearted) will be right up your alley. This is a firm tour guide favorite, and they can recommend great shorter walks too. 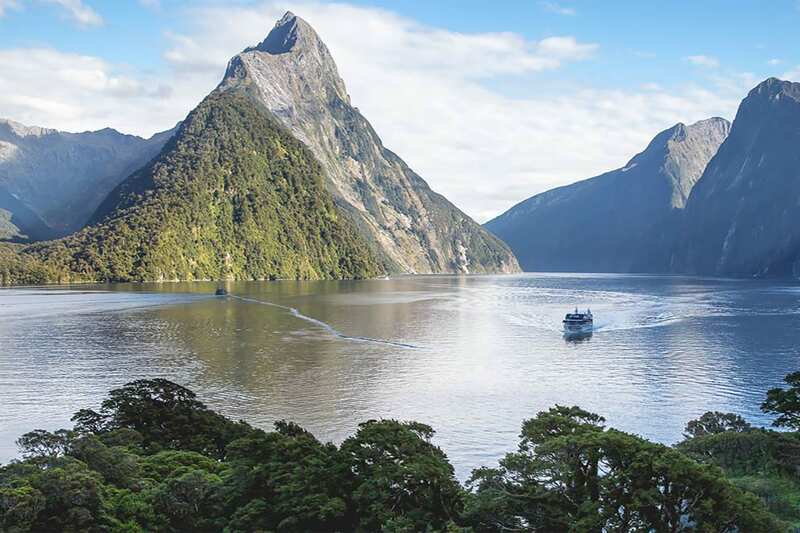 For scenery lovers, Milford Sound is a must-see. Whether you fly or drive, the scenery en route is as awesome as the destination. Once on the Sound, sailing beneath thundering waterfalls and towering cliff faces, you’ll understand why some call it the “8th Wonder of the World." Tonight you have around 40 bars to choose from – your guide will fill you in on their favorites – to share your adventures with your travel buddies, and party the night away. fter the excitement of Queenstown, today is a chance to chill. Wanaka is Queenstown’s slightly quieter little sister, a mere one hour drive away. On the way we’ll stop in at charming Arrowtown, a historic gold rush village with heaps of old world character. After a relaxing morning in Wanaka, the journey to Franz is an another stunner – many of our guides rate it as their favorite drive in New Zealand. As we hit the road, we’ll stop at one of our favorite lakeside lookout points at Lake Hawea or Lake Wanaka. Your guide will keep an eye on the weather and pick the best option. We roll into Franz Josef around late afternoon/early evening. This UNESCO World Heritage area is famous for its spectacular glacier, just 5 km from town, which is begging to be explored tomorrow. 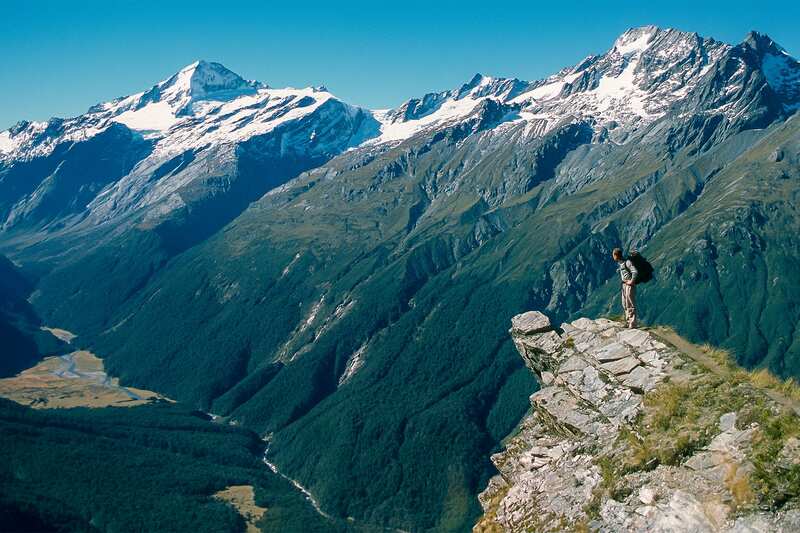 There are heaps of ways to enjoy Franz Josef Glacier; weather permitting, to get up onto the bluest ice you can take a scenic helicopter flight and hike onto the glaciers. Maybe you’d prefer to kayak on a glacial lake; or just relax in the steamy hot springs down below. Before you know it, it’s your last day! After breakfast we head further along the beautiful west coast on another of the most spectacular drives in the country (and, some would say, the world): a rugged, primeval landscape of luxuriant rainforest juxtaposed against breathtaking beach and ocean waves. We stop at Hokitika and visit a greenstone factory, a great place to stock up on souvenirs for your friends and family back home. Time permitting, we may also visit the National Kiwi Centre where there is guaranteed viewing of rare kiwi birds in their nocturnal house. 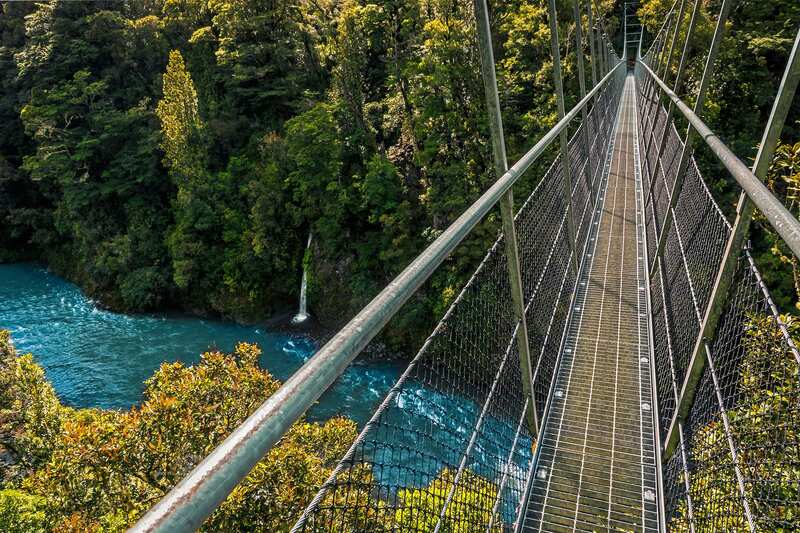 On the way back to Christchurch, you'll traverse the South Island on the stunning TranzAlpine Train Crossing. Traveling across the Southern Alps through Arthur’s Pass, you'll arrive in Christchurch around 6.30pm before transferring to your accommodation. Your tour officially ends in Christchurch, so feel free to party on with your new travel buddies for as long as you like – your accommodation tonight is included so you can treat yourself to a lie-in in the morning! *Please note, there is 1 night on this tour where private accommodation upgrades are not available due to limited availability: Day 1 (MacKenzie Country). In special circumstances arrangements may be possible - please contact us. Upgrade your accommodation to a private room, for $649. The cost is per room, so if there are two you, you can split the cost. Please note, there is 1 night on this tour where private accommodation upgrades are not available due to limited availability: Day 1 (MacKenzie Country). Remember, nothing is compulsory – just choose what’s best for your journey.